In a dramatic turn of events, Super League of Malawi (Sulom) has nominated Wilkins Mijiga for the Football Association of Malawi (FAM) presidency. According to information made available to Malawi24, reliable sources have revealed that Sulom has opted to nominate Mijiga, who was almost ruled out of the race after failing to get nomination papers from 8 of the 9 associations affiliated to FAM. This means that it will be a three-race horse, with the incumbent Fa president Walter Nyamilandu facing Willy Yabwanya Phiri and Mijiga when the Fa goes to the polls on 12 December this year in Salima. Mijiga: Gets nominated by Sulom. Nyamilandu, who is seeking for a fourth term bid in office, was nominated by Southern Region Football Association (SRFA), Central Region Football Association (CRFA), Northern Region Football Association (NRFA), Coaches Association of Malawi, Beach Soccer Malawi, Womens Football Committee and Coaches Association of Malawi whilst Yabwanya Phiri was nominated by the National Referees Committee (NRC). 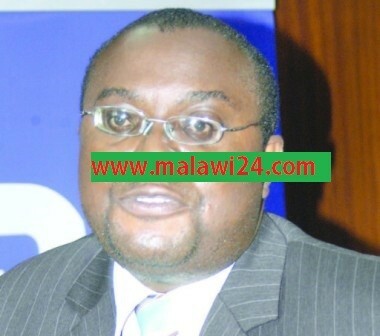 Nyamilandu has been at the helm of Malawi’s soccer governing body for the past 12 years and if he succeeds in returning his seat, that will be his final term in office as FIFA Reforms Committee has resolved to put elections and terms of members of the FIFA Council and the presidential term limits to the maximum of 12 years, with age limit of 74 years of age. 36 votes from the affiliates will determine the fate of the three aspiring presidential candidates. Apart from the presidential position, other aspiring candidates will compete for the position of the Fa’s first vice president, second vice president and an executive committee member. James Mwenda will battle it out with Sulom treasurer Tiya Somba Banda for the first vice president position whilst Daud Mtanthiko and Rashi Mtelera will compete for the association’s executive member committee. Plz guys we shld b careful wth our comments. Firstly lets knw tht God z chkng wat comes out of our mouth/hearts. Osamatukwana or else we declare tht our father z the devil. I believe we may ask God to 4give us n JESUS name amen. Walter ndi mbuzi yamano kunsi. Palibe wachita chosintha mpira chikhalire pampando. Achoke!!! Achoke!!! Achoke!!! let God alone solve it….amene waloza sikangamuphonye. kodi ku malawi kunatani?? ?ngati Big Sepp Blater anaimika manja,who is walter to cling in to power??? mumapezamo phindu lanji yet u get lumpsum ku maganyu anu???? ?My poor motherland!!!!!!!!! has this guy been active in malawi football in the past 5 yrs? mmmmh! apangidwa disqualify awa! Mijiga is a gud choice YES bt he wil b disqualified he dsnt qualify to compete he hasnt bn active 4 da past 5yrz as regards 2 wat da constitution says Walter wl stil win ma guy a SULOM r bluffing da malawi nation,,sanaikepo Tiya Somba bwanji kuti athane ndi Walter? Gule mkusiilana, tizingoonera likhuba basi mpaka liti. Vuto ndi loti masankho akayandikira Walter Nyamilandu Manda amagula ndi kunyengerera ma candidate enawo kuti asaime ndipo amawina unchallenged. Shame on you Mr Nyamilandu for that kakaka syndrome! SULOM nominates FAM president?? kodi paja amapangitsa zisankho za FAM nd a SULOM? Good choice!..Big up! Sulom…Mijiga in, walter out!! out!! now!! !